Relevant technology areas: Web Design and Applications, XML Core Technology, Web Architecture, Browsers and Other Agents, and Web of Services. The True Cost of Content (Piracy and the Internet). Traditiegetrouw verzorgt Steven Pemberton de eerste Freelance Friday van het jaar. Dat is ook ieder jaar weer een groot succes. De presentatie is in het Engels / The presentation will be in English! In the early days of broadcasting, newspapers prevented radio stations from broadcasting news reports for fear of competition; in the 1960's the record industry restricted the number of hours radio stations could play records; in the 1970's Hollywood tried to stop the introduction of video recorders to prevent people recording films from TV; in the 80's the record industry ran a campaign "Home taping is killing music". Existing industries are just scared of innovation. So is file-sharing really so bad? Why do studies show that the people who file-share the most also spend the most on films and music? Why don't existing industries take advantage of file-sharing rather than try to stop it? Before the internet, phone calls to far-away places would be more expensive than local calls. The internet has now demonstrated that this model was wrong: the cost of communication is not distance-based. Now we see CDs of music often costing more than the DVD of a film, even though a film is much more expensive to produce. Why is this? Will the internet eventually show us the true cost of content in the same way it has shown us the true cost of communication? Pemberton is onderzoeker bij het Centrum voor Wiskunde en Informatica (CWI) in Amsterdam. Als lid van het World Wide Web Consortium (W3C), de organisatie die de ontwikkeling van ‘internet voor iedereen’ bewaakt, is hij co-auteur van onder meer HTML4 en CSS. There is an ongoing trend towards stricter enforcement of copyright on the internet. Is copyright enforcement possible without infringing fundamental rights? During the Computers, Privacy, and Data Protection (CPDP 2013) in Brussels, there will be a panel discussion on 'Balancing of Fundamental Rights in Online Copyright Enforcement'. This panel features Wendy Seltzer from W3C. 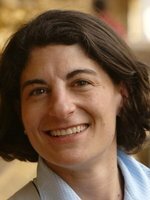 Policy Counsel Wendy Seltzer came to W3C in 2012 from a tour of legal academia and, before that, Electronic Frontier Foundation. She was drawn into open code as a law student, as the first webmaster for Harvard's Berkman Center for Internet & Society, and hasn't been able to escape since. Wendy's legal research focuses on "openness," in the law and technology of online expression, user-innovation, privacy, and anonymity. the Computers, Privacy, and Data Protection (CPDP 2013) conference website. The panel discussion starts at 10.30h a.m. Location: CWI in Amsterdam - Euler room (Z009) Titles and abstracts are given below. Sandwiches will be provided before the talks. We hope to see you there! Abstract: In this presentation we explain how efficient numerical mathematics techniques, that proceed forward and backward in time, can be used in the context of pricing financial option products and of modern risk management at financial institutions. In particular, we discuss some changes that have taken place due to the financial crisis. Lezing Steven Pemberton (CWI/W3C Benelux): HTTP Must Die! op ISOC.nl Nieuwjaarsreceptie, Amsterdam, 10 januari. At the OHM conference in Geestmerambacht Steven Pemberton (CWI) and Marc Stevens (CWI) will give three lectures. 31 July 2013, 17.00h, room T1, Steven Pemberton: What do we Want from the Web? The web is now over 20 years old, but still in its infancy. Books printed 100 years ago are still readable, and available in many cases. Will we still be able to read and access websites made today in 100 years time? Or will all our content be lost to future ages? What is needed to make the web age-tolerant? What do we want from the web in both the short and long term? Despite the use of style-sheets, the current web is almost completely visually-oriented. This locks the content into one particular representation, and makes it hard to repurpose. What we need is a web that is primarily content-oriented, with a final phase of presentation; only in that way can content be repurposed in the same way that data can be. Design for the web should be like design for a house style. It has a general style that the content can flow into. We don't want to have to produce copies of our websites for each new type of platform or device. There needs to be a generic method of repurposing content to the formfactor of the device accessing it. With the coming of HTML5, the web has stopped being about documents, and started being about programs. Now only programmers can produce modern web pages. What can be done to alleviate the problem? HTTP, the protocol used for serving Web pages, has served us well for the last 20 years, but is beginning to show its age: it has become a single-point-of-failure for content. It enables DDoS attacks, makes it easy for governments and other agencies to censor sites and content, and just when a website becomes super-popular it can fail causing the website to crash and be unreachable. This talk will cover these points, and general approaches that could be used to make a coherent future web. R&D Manager at Inventive Designers, passionate about web, XML related technologies, mobile, cloud computing and document technology in general. Member of the Web Cryptography and CSS W3C working groups and editor of the XForms specification. When you store a photo, you can store it as a JPEG, or a PNG or in a number of other formats; when you store music you might store it as MP3, FLAC, WAV, or any number of others; when you store a film, you might store it as MPEG, XVID, or again any number of alternatives. But in the end what we really are interested in is the photo, the music and film. There are reasons to choose one format over another, but those reasons are in the service of our needs with regards to the content. Looked at in this way, XML is only there in the service of our data. There are reasons to choose XML as format, such as the interoperability, the toolchain, and the generality; but there are also reasons that people choose other formats, such as JSON, or (non-XML) HTML. From this point of view XML is just a particular serialisation of our data. This talk is about a general method that allows you to regard all formats, and all data just as different serialisations of data, and how you can get the XML serialisation out of every format, so that we can use it in our XML toolchains. Steven Pemberton is keynote speaker tijdens het Open Data NEXT 2013 congres op 27 september 2013 in MediaPlaza (Jaarbeurs) in Utrecht. Om 13.30h spreekt hij daar over Small Data. Al gaat Open Data vaak over Big Data, er is ook veel 'Small Data' op de web. Deze 'Small Data' kan de gebruikerservaring op de web aangenamer te maken. Met een paar kleine aanpassingen in de presentatie in de browser, kan het gebruik van Open Data voor de gebruiker op het web aanzienlijk worden vergemakkelijkt. Registratie is niet meer mogelijk (uitverkocht) maar u kunt wel op een wachtlijst worden gezet. W3C-spreker Bert Bos (Frankrijk) spreekt over Selectors op de CSS Day conferentie in Amsterdam op 14 juni 2013. De presentatie zal na de conferentie online worden gezet. Tijdens de CSS Day zullen acht topsprekers CSS-modules bespreken. Peter Gasston: "animations & transitions". Het niveau is geavanceerd. Er wordt niet ingegaan op de basisprincipes maar wel op de 'tiny tricky details, the browser compatibility problems, or the unexpected consequences'. Er is ook een pre-conference workshop om wat basiskennis op te doen. Tickets voor de conferentie in het Compagnietheater in Amsterdam kunnen worden verkregen via de website van de CSS Day. Steven Pemberton herhaalt op zijn webpagina twee reviews die mensen hierop gaven: "This is clearly a submission that needs to be shredded, burned, and the ashes buried in multiple locations" – a reviewer. "I think the audience will eat him alive. But I want to be there to hear it." – another reviewer. Het belooft een interessante lezing te worden! Using XForms for interfaces to XML data at International Symposium on Native XML user interfaces, Montréal, Canada. De sheets zullen na afloop beschikbaar worden gesteld. Tutorial: Web Applications with XForms 2.0 at WWW 2013, Rio de Janeiro, Brazilie.